(3) The 'ticker' or ID you would like to use. At this stage you may not know, so select the closest match. 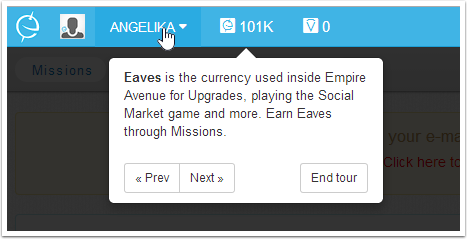 First steps .. your mission is to ..
Each one will earn you eaves , which are Empire Avenues virtual reward currency , As a new player you need every eave you can earn. 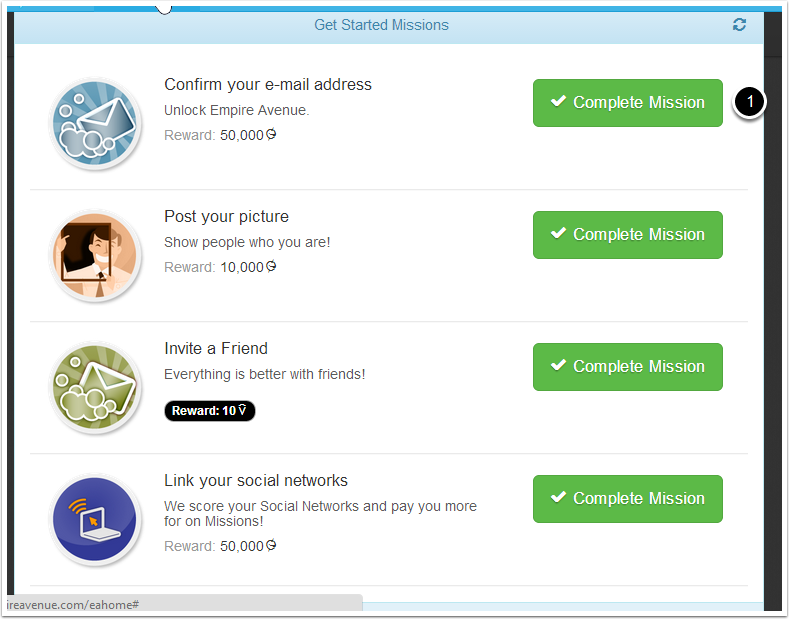 You need not complete all the missions one after the other , you can return at any time and pick up where you left off. 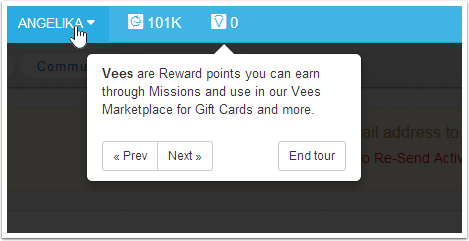 The mission description is shown. This is the second mission .. to upload a picture of yourself. 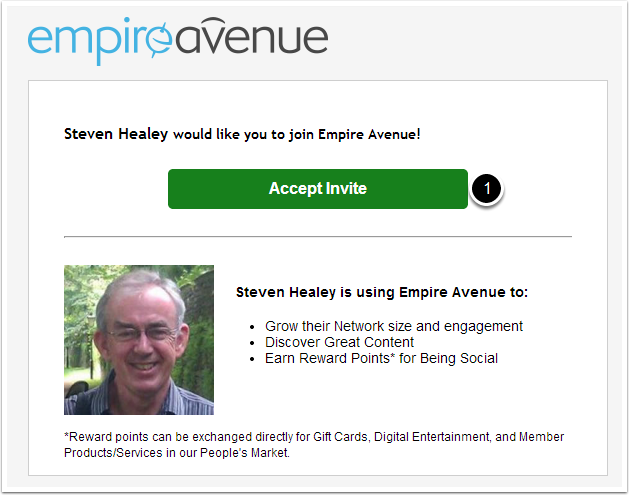 Remember Empire Avenue is a social network with forums and people like to know who you are , so use a recent photo .. perhaps the one from Facebook. 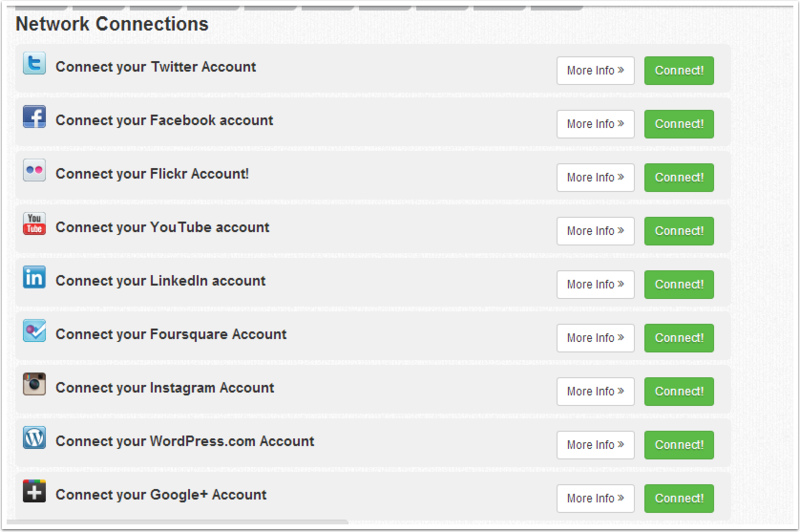 Connecting your Facebook and Twitter accounts is straightforward . 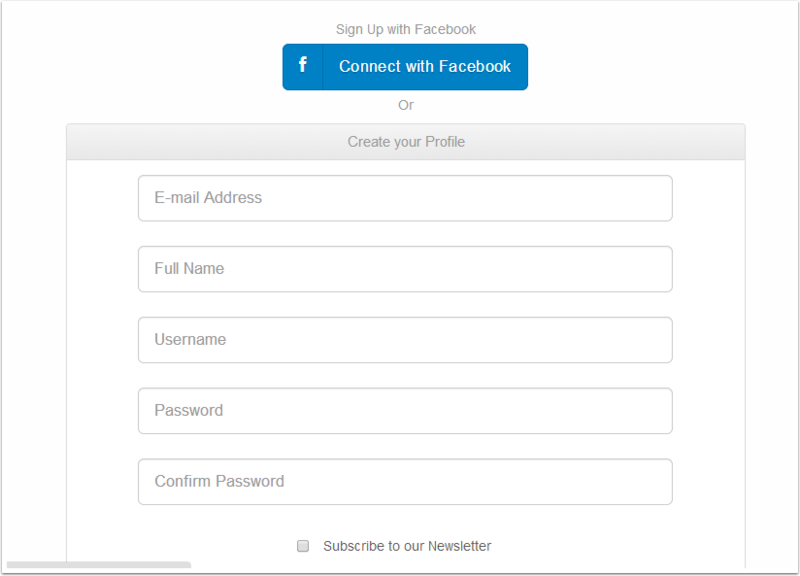 Just click each connect button in turn. 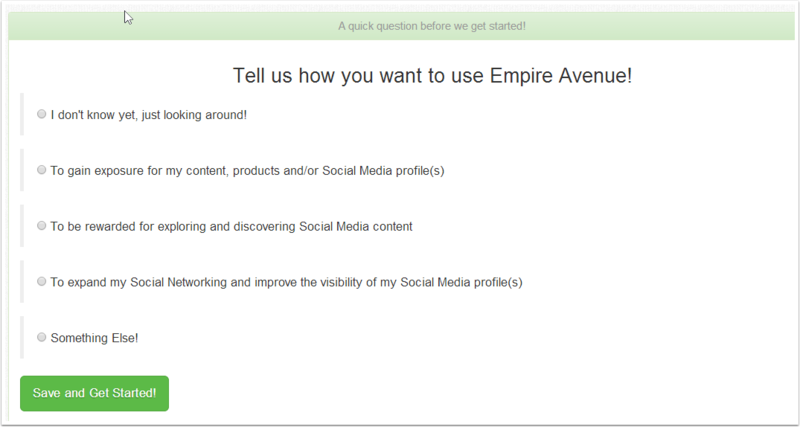 As soon as each account is connected EAv (Empire Avenue) will begin is measure your success on those networks and will provide network scores and give you recent trends and posts. 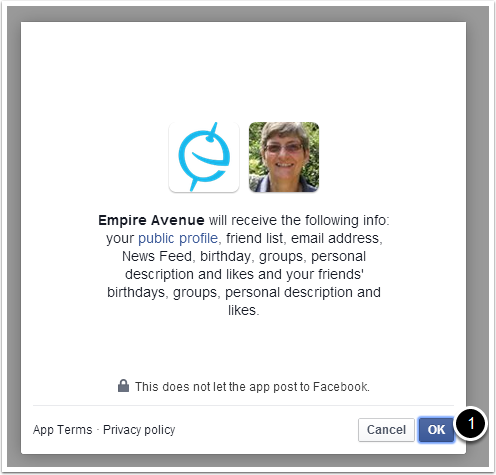 Empire Avenue requests several permissions in order to function at its best. This task has been undertaken by thousands of players without any problems. 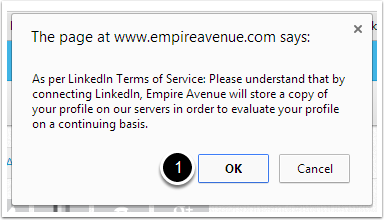 Empire Avenue does not post on your behalf. (2) Location .. EAv has taken a best guess , you can change this later if you wish. 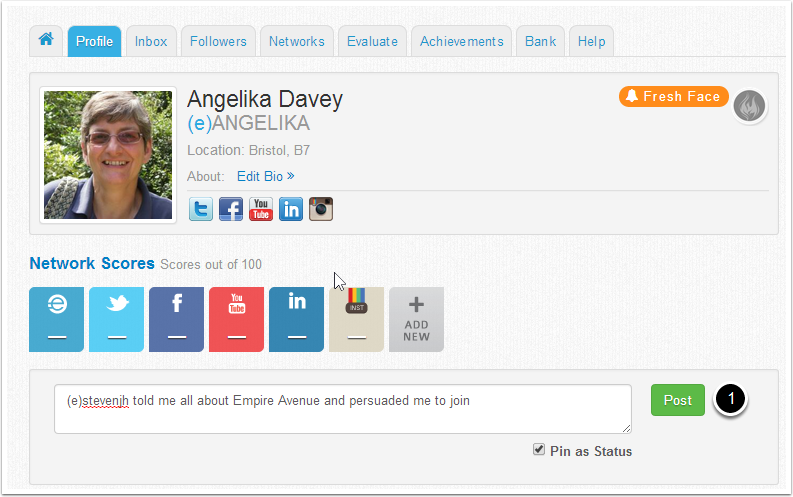 (3) Network Scores .. each network is given a score based amongst other things on your activity. It will take 4/5 days for your scores to show . I always track the tend of the scores .. daily fluctuations will happen but it is a great general guide. 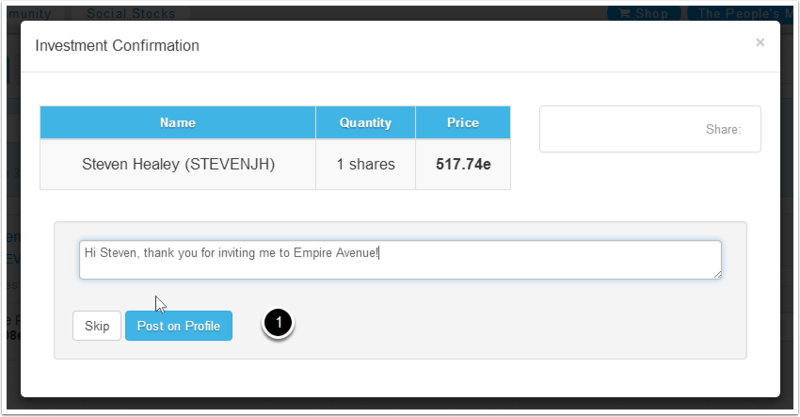 (4) As soon as your profile is visible someone will notice you and send you a message and buy your shares. EAv is a friendly place and the more you interact , the more fun you will have getting to know people. 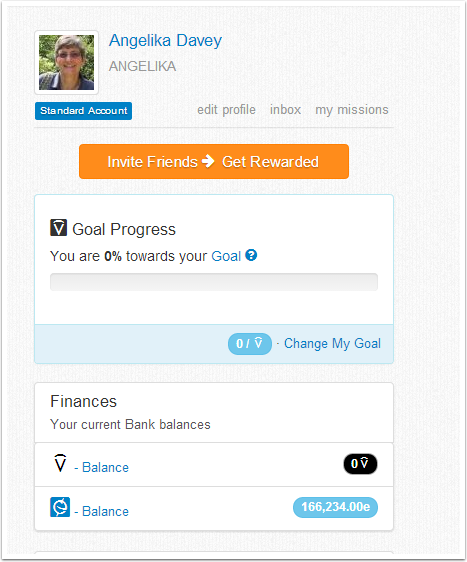 (5) Wealth , you have already been paid Eaves for he missions you took earlier in setting up your profile..
Use it to find the account of the person who invited you or someone you already know. In this case Angelika searched and found me. DO NOT BUY 200 SHARES ... you will have no virtual money left . Buy 1 share to get started .. 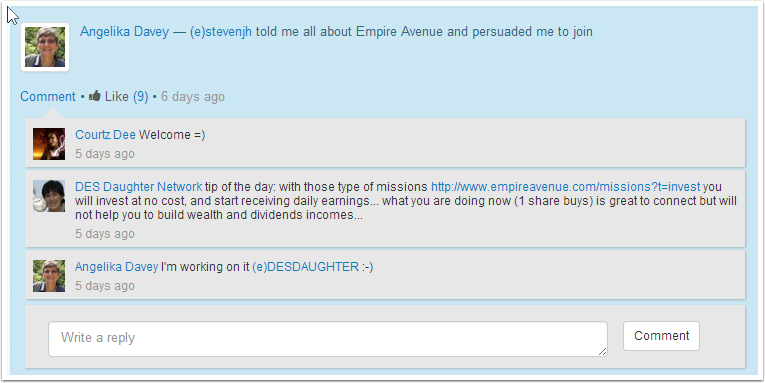 It will tell the person that you have joined Empire Avenue and they will probably buy shares in you. At this stage do not worry if someone buys more of your shares than you did of theirs , in time you will catch up. 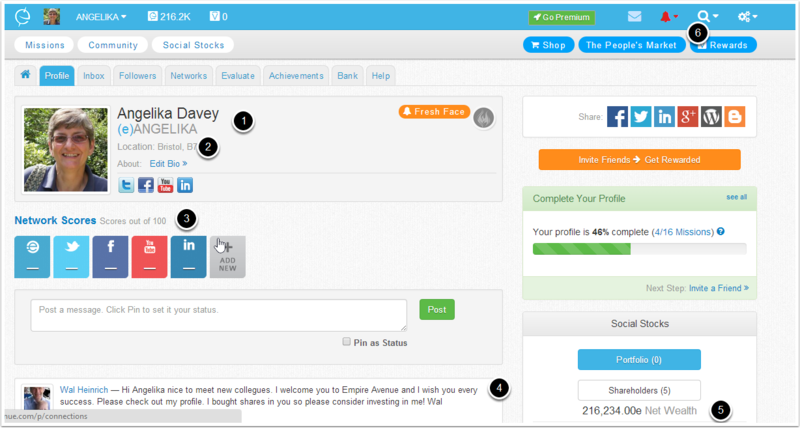 Empire Avenue is after all a social stockmarket where members invest in each other. In the first 7 days of running your account there are limits to the number of shares people can buy in you ranging from 200 to 400 depending on how they are operating their account. 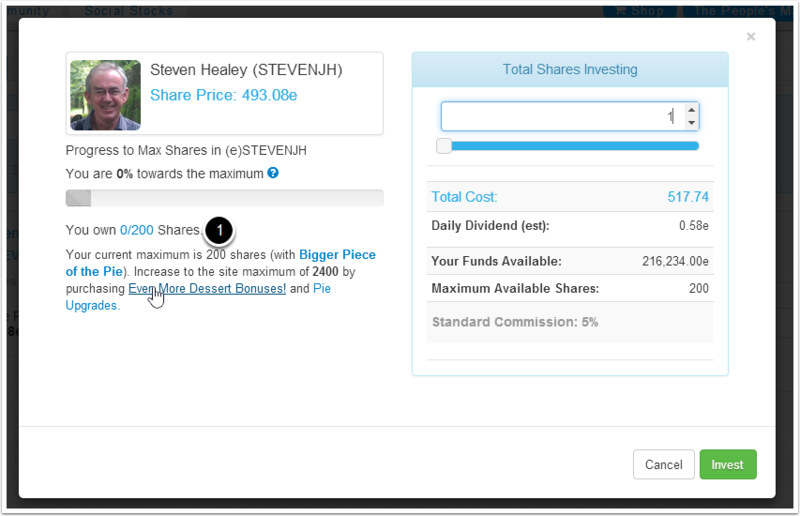 When the 7 days are up everyone can buy more shares in you , up to 2800 . So you need to be active in the first week to encourage people to buy and invest further. Be aware that people can buy and SELL your shares at any time . That said if you create an active presence few people will sell. 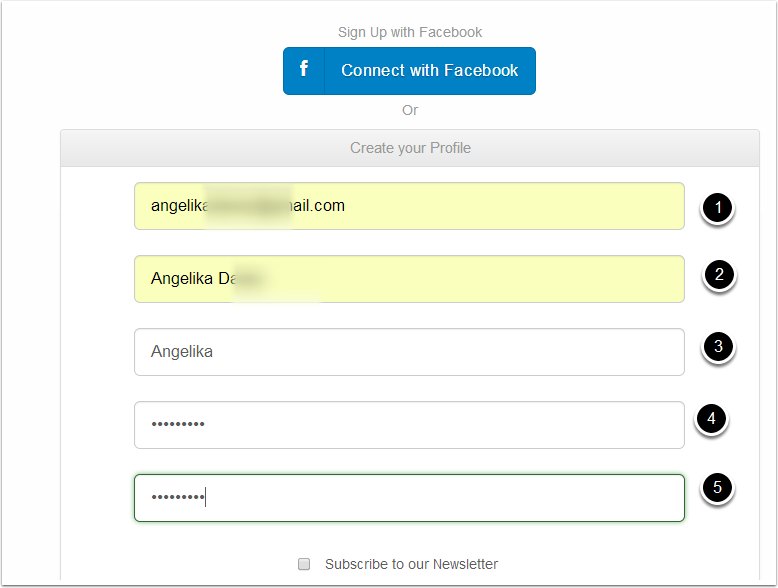 You can post a personal message .which will appear on the users personal profile page. 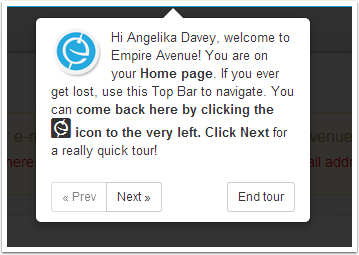 This is the first in a series to guide you through Empire Avenue.